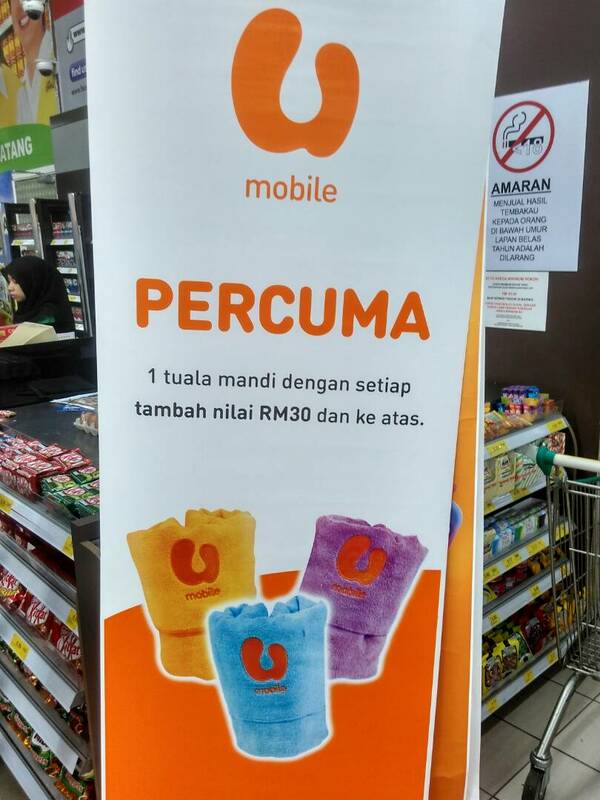 Percuma 1 tuala mandi dengan setiap tambah nilai RM30 dan ke atas. First-come-first-serve and while stocks last basis. Reload U Mobile online and get RM15 OFF RM100 direct to phone top up purchase. Harga Runtuh's Pro Tip: Please check stock availability at Giant redemption counter first before you purchase the U Mobile top up at any Giant checkout counter in the supermarket.